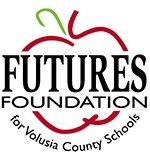 FUTURES Foundation for Volusia County Schools recently received $2,000 from Launch Federal Credit Union to support its programs in Volusia County Schools. Pictured are Launch Federal Credit Union Business Development Specialist David Jimenez and FUTURES Foundation Executive Director Cynthia Ramirez. 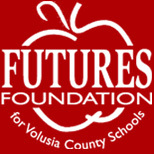 For more information about FUTURES, please contact Mrs. Ramirez at (386) 255-6475, ext. 50730, caperric@volusia.K12.FL.US or visit www.FuturesVolusia.org.